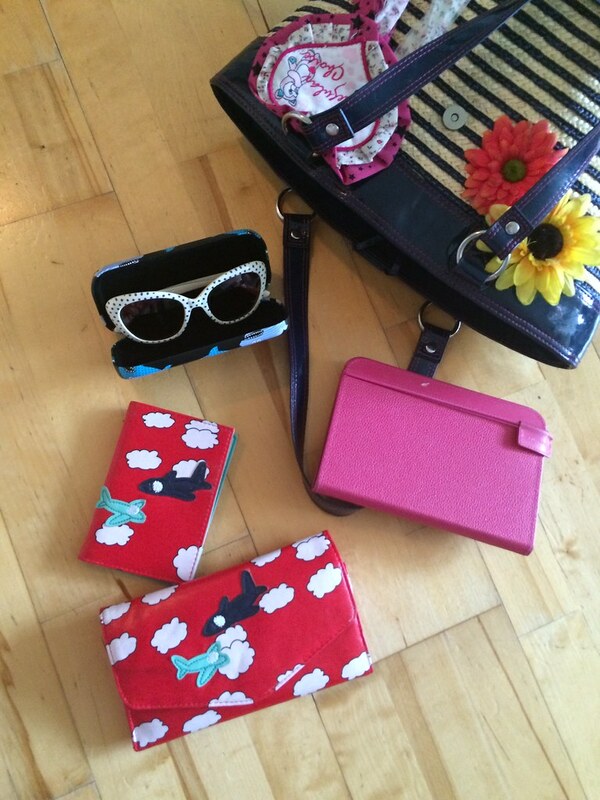 t*rexes and tiaras: Packing for a weekend getaway.. When I packed to go to Las Vegas last December, I think I travelled lighter than I usually do for a weekend away in the UK. Basically, the reason for that was that I have no idea what the different airline restrictions are on things like luggage, and more importantly hand luggage allowances. In fact, for that trip I only took one bag with me as hand luggage - my Grafea camera bag, which carried my camera and I also managed to squash in all of the essentials. I used that for my day-to-day handbag for the trip and also took a smaller one for going out in the evenings when I'd generally need to take less with me. This August I'm off to Paris for a weekend, so I'm hoping that I won't need to take too much with me. I'm considering packing only hand luggage, which would save the need to check a bag in on the plane. That's got to make travelling a little easier, right? Thankfully, the helpful folks at Purple Parking have created this handy little guide to hand luggage allowances across various airlines. 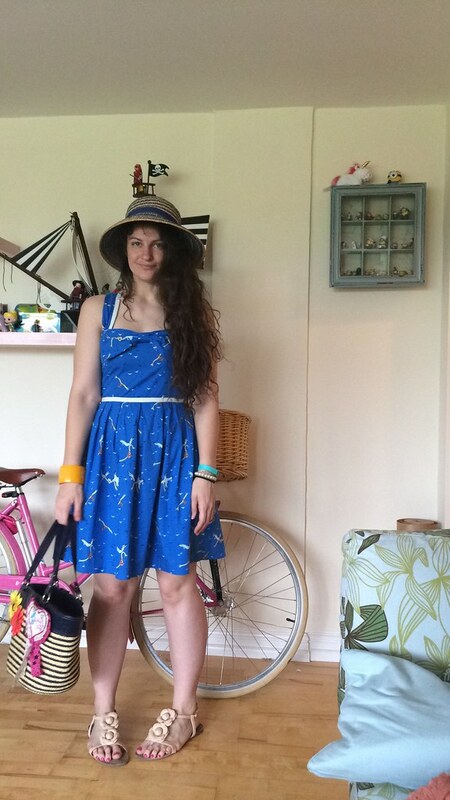 I'm imagining that Paris in August is going to be hot, so I'd wear this tried and tested outfit to travel, and pop a cardigan into my fairly sizeable handbag in case it got colder on the plane. In my handbag, I'd take the essentials like purse and passport, sunglasses and my Kindle as that's just so much easier to read than taking a few books - better on the weight allowance, too. One of my best tips my mum gave me was to always wear a hat rather than trying to pack it - she has a point; they get ruined in a suitcase. The other thing which really confuses me is toiletries; what I'm allowed to pack and what I'm not. I tend to take the lazy option land when I get to the airport, I'll buy a lip balm, deodorant and one of those water spritz sprays, for when it gets too hot on the plane. What do you wear to travel? And do you have any travel tips for Paris in August? That is a very cute dress and hat combo! Aaaaaaaand it is TARDIS blue so, should you so wish, I'd love it if you linked it up to my TARDIS Tuesday post! 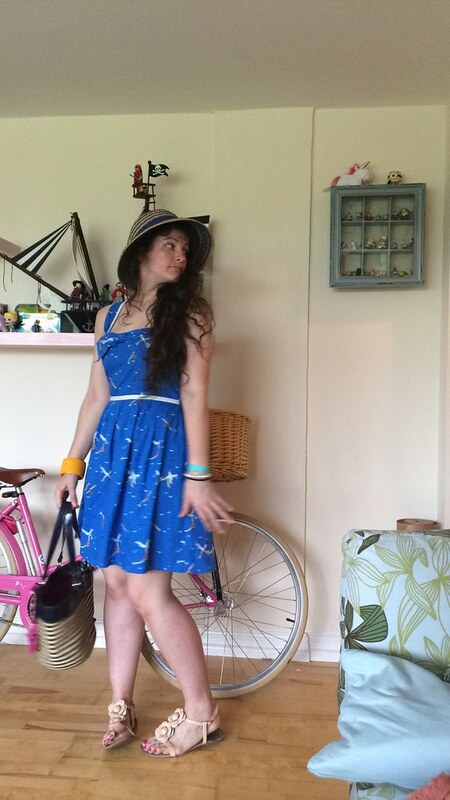 I love this dress on you - the blue looks really good with your skin tone and hair. Oh my goodness, I always have issues with luggage and hand luggage - I either stuff SO much into my hand luggage that it's really difficult to carry, or I don't put in enough and wish I'd brought more. Too much of a balancing act for me! I do always take my Kindle nowadays when I'm travelling though rather than books (as much as I love them!) because it's so much easier.